Civil Engineer Tom Hennelly, PE recently talked about his time as a senior inspection engineer in Afghanistan. 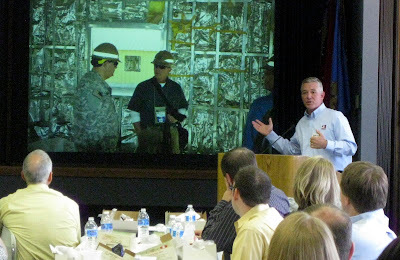 Hennelly made a presentation to the SAME Tulsa Post in Oklahoma detailing his experience with the Special Inspector General for Afghanistan Reconstruction. The organization was created by the U.S. Congress as part of the National Defense Authorization Act to identify and report fraud, waste, and abuse related to American-funded reconstruction projects in Afghanistan. For 11 months, Hennelly inspected power plants, bridges, roads, police stations, military installations, schools, hospitals, and prisons. After the inspections, he reported his findings to Congress and detailed whether or not the projects were being constructed within the terms of the contract. 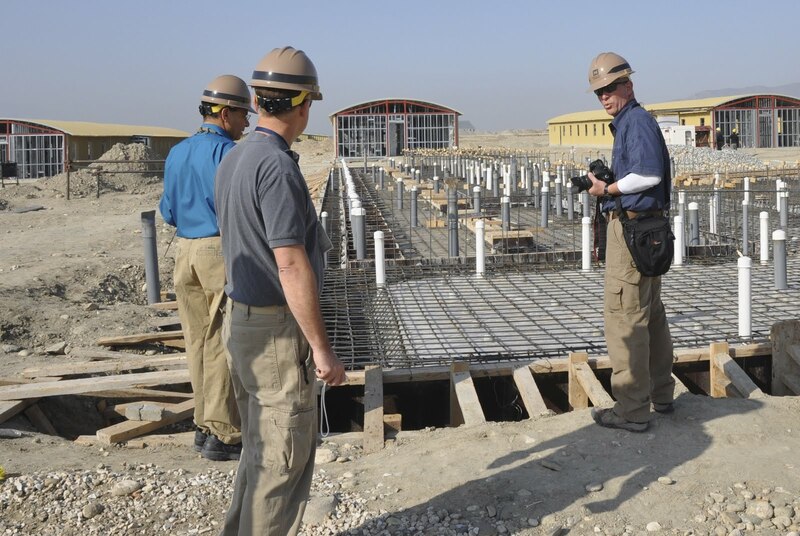 In the above picture, Tom (right) inspects a new Afghanistan National Army Base under construction in Laghman Province in eastern Afghanistan.